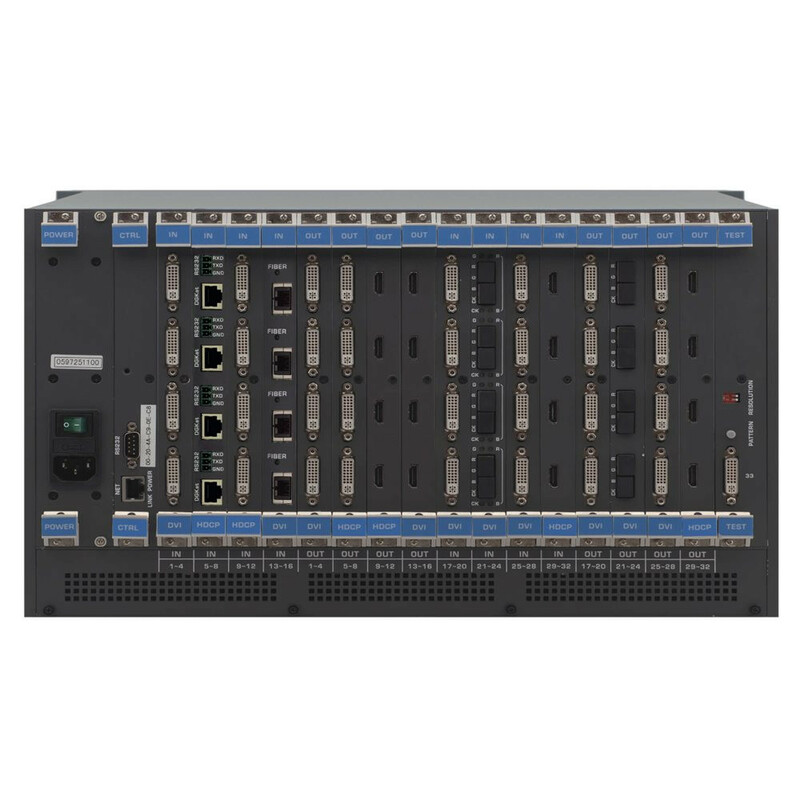 VS-3232DN is a high-performance 4x4 to 32x32 modular matrix switcher chassis for AV signals. The unit is a multi-format digital switcher, populated from 4x4 to 32x32 in increments of four inputs and/or four outputs. The chassis includes optional dual, redundant power supplies, a control module and a test module that can monitor and test any input and output in the matrix. VS-3232DN supports a wide variety of input and output cards for different AV signals.